Our fantastic netball team played brilliantly to come 2nd overall! Congratulations Robyn, Daniel, Lara, Archie, and Oliver! Another amazing effort from Team Shaugh Prior at this week’s y5/6 netball tournament! We won two games, (1-0 and 6-0) drew one (1-1) and lost one match (1-2) with some truly fantastic performances despite few opportunities to practice. We narrowly missed the play-offs, coming 5th out of 11 teams - a great result for our children from Y3-Y6 who made up the team. Special thanks to Kylie, netball coach from WC Scaffolding, who gave her time during the afternoon to coach the children and to attend (and even umpire) at the event! A massive ‘well done’ to our Cross Country Teams, Robyn, Lara, Zaydan, Daniel, Archie, Oliver, Sonny, Isaac, Queenie and Daisy! Each and every one of them gave the races their all and should be very proud of themselves. Particular shout out to Isaac for running in the Y5/6 race after being knocked over at the start of the Y3/4 race - that shows great resilience and courage, Isaac! Also impressive was the way that the teams supported and congratulated each other on their effort and successes - and even jeopardized their places in the race to look after each other– fantastic sportsmanship. On Tuesday 10th October Children from Y3-6 competed in a gruelling cross country running competition. Everyone crossed the finish line feeling huge satisfaction and achievement. 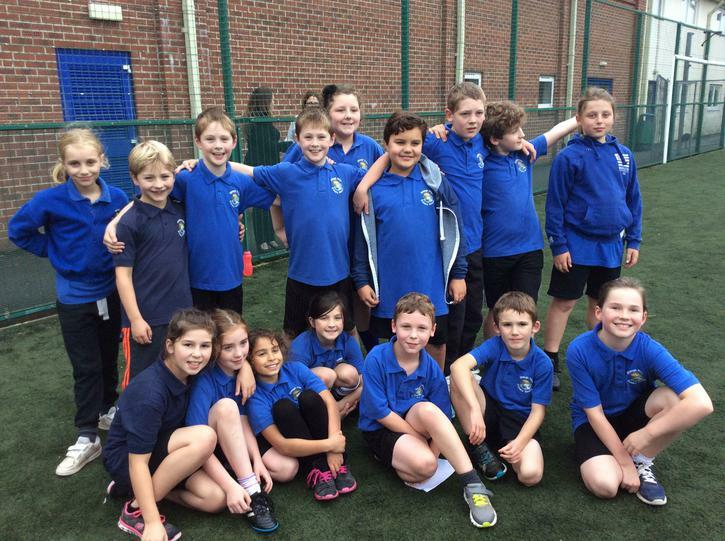 Well done to you all – we are so proud of your efforts, resilience and sportsmanship. Keep up the hard and remember our motto: You can do anything if you put your mind to it! 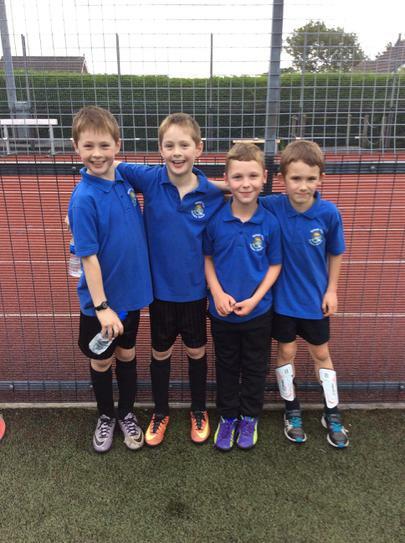 On Tuesday 26th September, children from Y3/4 joined forces with Cornwood Primary and competed in an inter-school football competition at Ivybridge Community College.